Lausanne is not only home to Brillantmont and its students, but also the International Olympic Committee (IOC) and hosts many exciting sporting events throughout the year. See world-class athletes in action in a range of different disciplines. 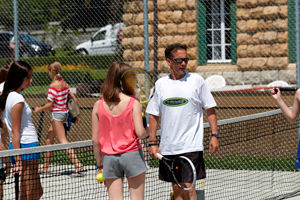 Here is a selection of sporting events set to be held in or around Lausanne throughout 2014. The Prix de Lausanne (pictured above) is a ballet competition open to young amateur dancers from around the world. Many people visit Lausanne to watch the dancers compete for scholarships to prestigious dance schools, and many go on to successful careers with international dance companies. The Tour de Romandie cycle race includes a time trial section in Lausanne. The race is seen as good preparation for the Tour de France and as a result attracts many top cyclists. As the weather warms up, the focus turns to summer sports with the beach volleyball tournament taking place this month. The tournament is part of the European Volleyball Confederation (CEV) league and features both male and female teams. 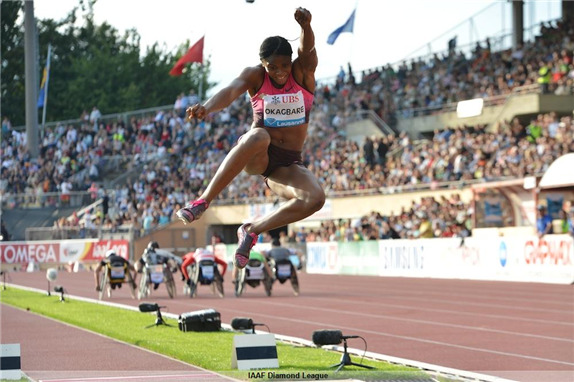 This month the action is centred on the track and field with the Lausanne meeting of the International Association of Athletic Federations Diamond League. This is a chance to see athletes including world and Olympic champions as they compete to win the overall league. July also marks the start of the Swiss football season, with local club FC Lausanne Sport usually competing in one of the country’s top leagues. Towards the end of September, eyes turn to the water with the Grand-prix du Beau-Rivage Palace Vulcan Trophy grand final. During the event, high-speed catamarans fly through the water in front of the Hotel Beau Rivage at the hands of experienced sailors. Also in September, the Global Champions Tour show jumping event is held in the Place Bellerive in conjunction with the Lausanne International Horse Show. Lausanne provides a picturesque setting for competitors and spectators during the Lausanne marathon. The course winds through the countryside past mountains and lakes and attracts thousands of racers each year. The marathon also includes events for walkers, children and wheelchair users. Also in October, many local residents test out their swimming skills with the 24-hour swim event to see who can swim the furthest during the 24-hour period either by themselves or as a team. The year ends on a fun note with a novel sporting event – the Christmas Midnight Run Lausanne. The race follows a course around central Lausanne with a series of late night runs and a even special prize for the best Santa Claus costume! Of course Brillantmont will be holding its own sporting events throughout the school year, many of which take place at the new Françoise Frei-Huguenin Sports and Cultural Centre at the heart of campus. As well as volleyball, tennis, football and other Summer sports, students also have the chance to hit the slopes on skiiing excursions. PICTURES: Brillantmont Students hit the slopes this half term!